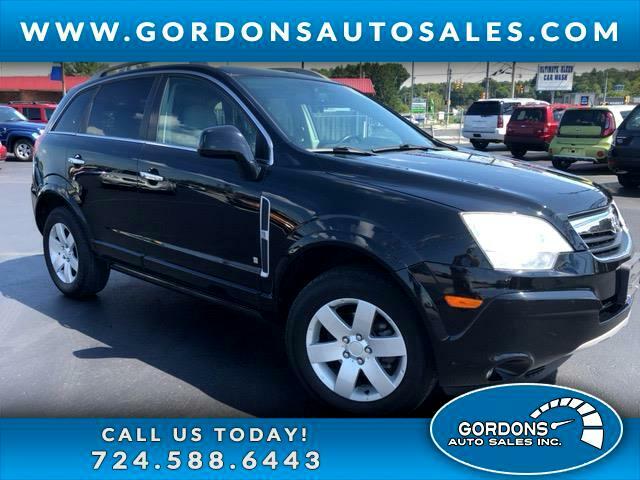 ******JUST ARRIVED****** WELL EQUIPPED 2008 SATURN VUE------THIS HAS THE PERFECT COLOR COMBINATION. BLACK WITH CHROME ACCENTS! *** ALUM WHEELS***ROOF RACK ***POWER WINDOWS*** POWER MIRRORS*** POWER DRIVERS SEAT***AM/FM/CD*** AUX AUDIO JACK***ELECTROCHROMIC REARVIEW MIRROR***ANTILOCK BRAKES***COLD A/C***CRUSE CONTROL***DAYTIME RUNNING LAMPS***ON-STAR*** SATELLITE RADIO***TILT STEERING***TRACTION CONTROL***FRONT AND SIDE AIRBAGS*** TRADE INS ARE WELCOME. CALL US TODAY TO SCHEDULE YOUR TEST DRIVE AND CHECK AVAILABILTY AT 724-588-6443.